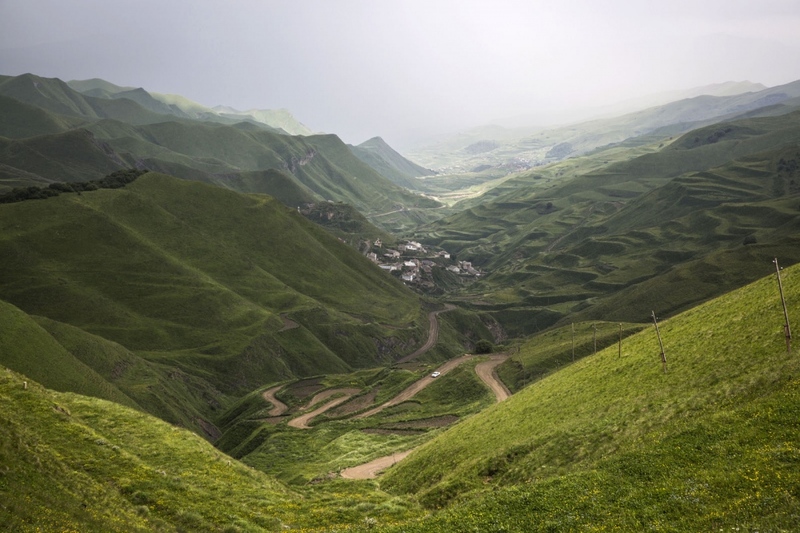 Located in the North Caucasus, bordering the Caspian Sea, Azerbaijan and Chechnya, Dagestan is home to almost 3 million mostly Muslim population. A Republic of Russia, it is ethnically very diverse and made up of several dozen ethnic groups which create Russia's most heterogeneous republic, where no ethnicity forms a majority. Dagestan has had a turbulent history and until 2012 was subject to a violent Islamic separatist movement that spilled over from neighbouring Chechnya. 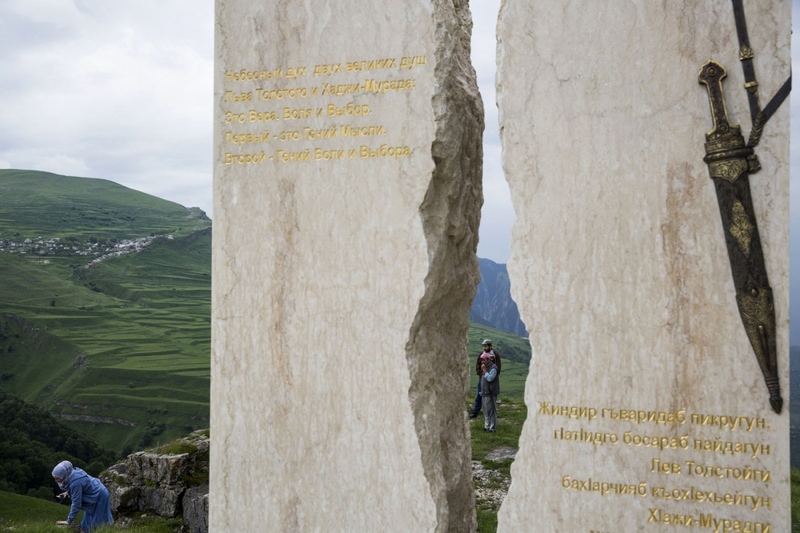 Largely subdued by the Russian Government it earned a reputation for being dangerous and violent, a reputation that is compounded by a lack of visitors and up to date news. But there is an overall feeling of being neglected and forgotten and a frustration that its bad reputation still lingers. 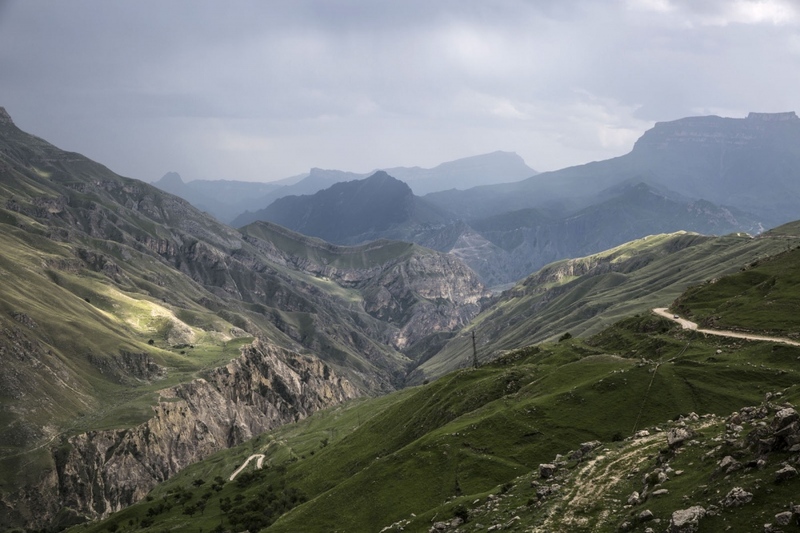 Today Dagestan (which means Land of Mountains) is peaceful and remains one of Russia's untouched treasures. 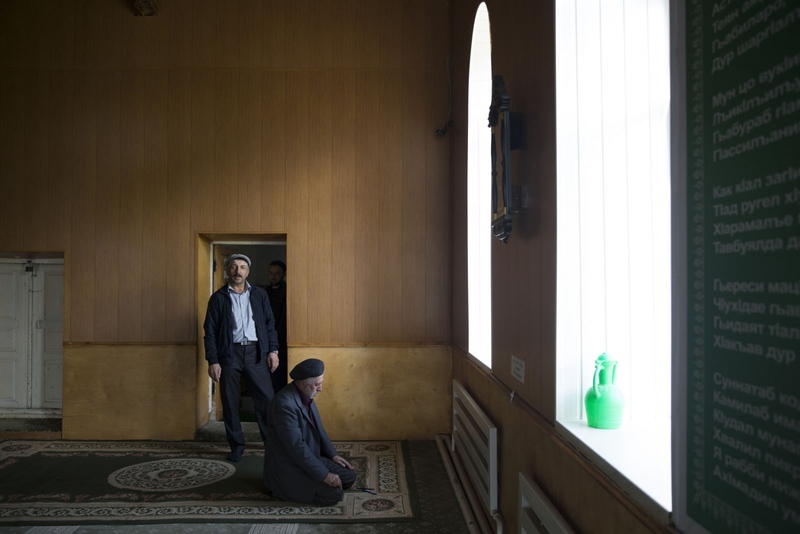 A place where moderate Islam mixes with age-old traditions and due to its relative isolation, this mountainous region has maintained traditional cultural practices that have been lost in many other parts of Russia. A remote twisty road winds its way through the green hills as rain approaches. 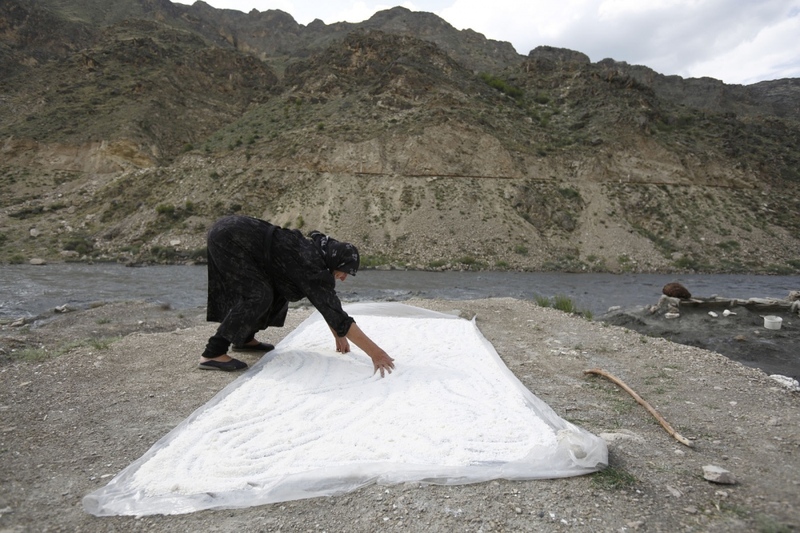 A member of one of the last remaining salt making family's makes salt the way it has been made for centuries in Kvankhidatli village. After a party, young Dagestani men visit a hot springs in the middle of no-where which has a flammable fountain of water. 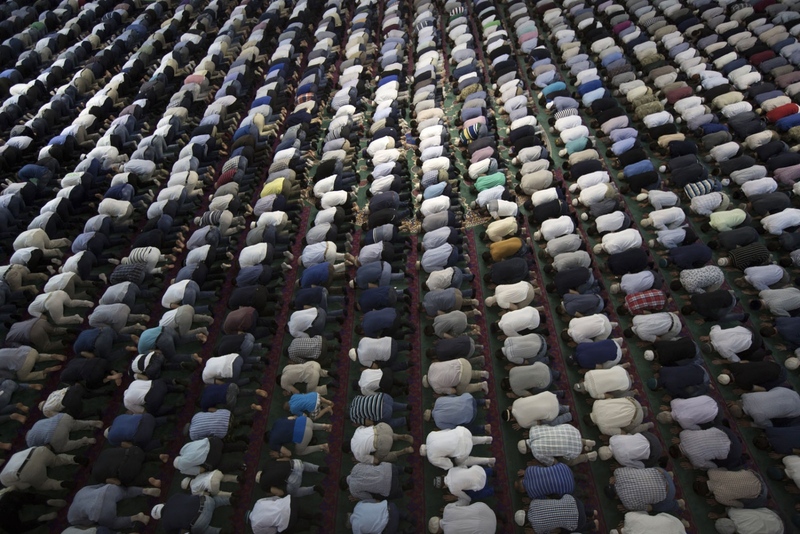 Muslim men from the village of Theletl take Friday prayer in the local village Mosque. Muslim men pray in their thousands on the first Friday of Ramadan inside The Grand Mosque in Makhachkala. It is the main mosque of the Republic of Dagestan and is supposed to have been designed after the Sultan Ahmed Mosque in Istanbul. 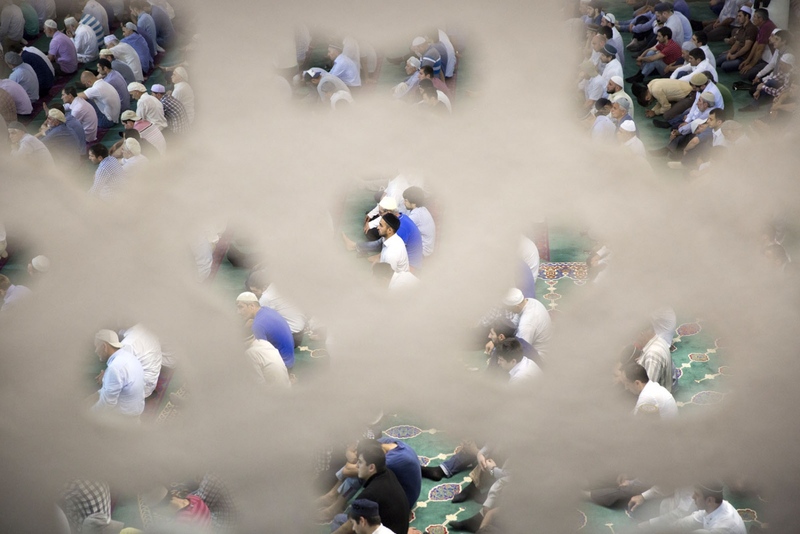 The mosque was completed and consecrated in 1998 and can accommodate 17,000 worshippers. 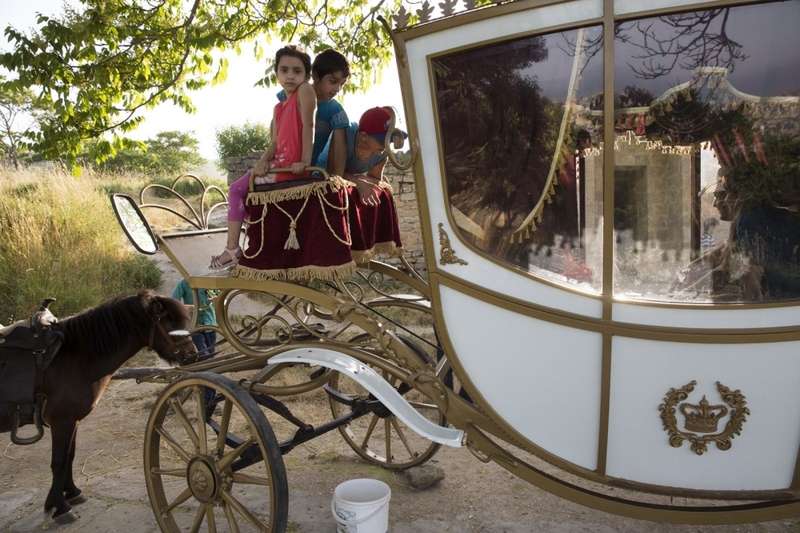 A young girl and her family play and take photographs on an imitation of a princesses carriage inside the ancient citadel at Derbent. Young fighters train inside a gym in Makhachkala. Fighting is embedded in to the culture of Dagestan and it is renowned around the world for producing large numbers of great fighters from wrestlers to mixed martial arts. The Russian government in Moscow also sends large amounts of funding to help train such fighters. 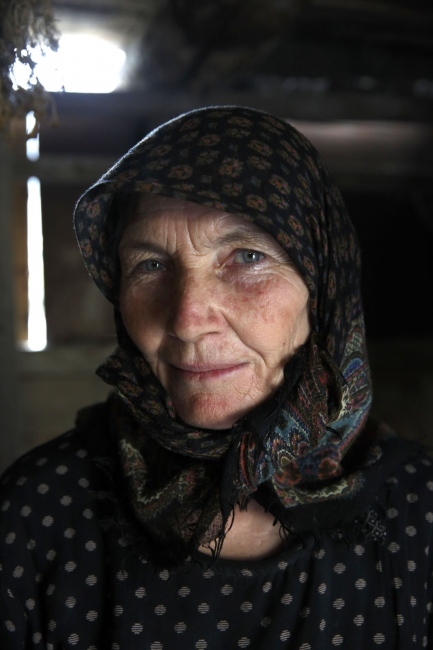 A portrait of an old lady in Kvankhidatli village. Two local women walk through the old town of Kubachi after having collected water from a local spring. A very traditional village, the women still use the old original containers to collect the water. The village inhabited by people of the Dargin ethnic group is famous throughout the whole of Russia for its skilled silver craftsmen who are commissioned from across Russia and abroad. 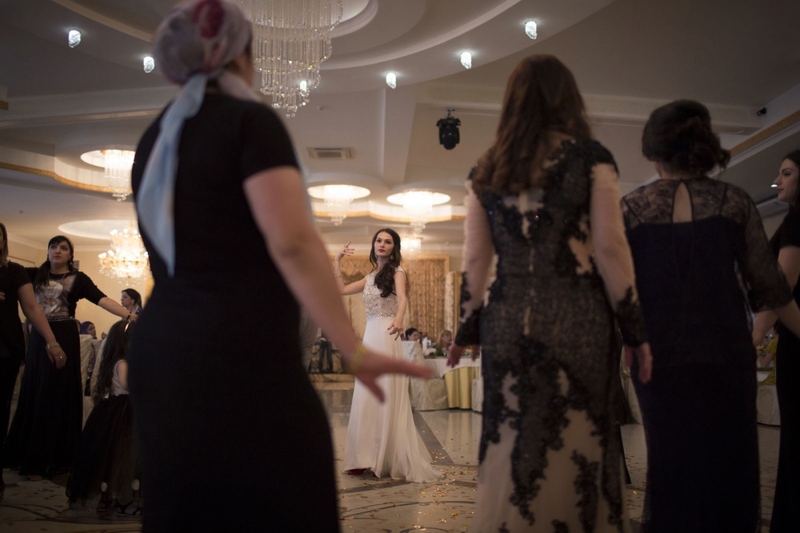 Dagestan men and women dance on the dance floor during a wedding in an expensive wedding hall in Makhachkala. During weddings in Dagestan men and women sit and eat separately and only mix on the dance floor. 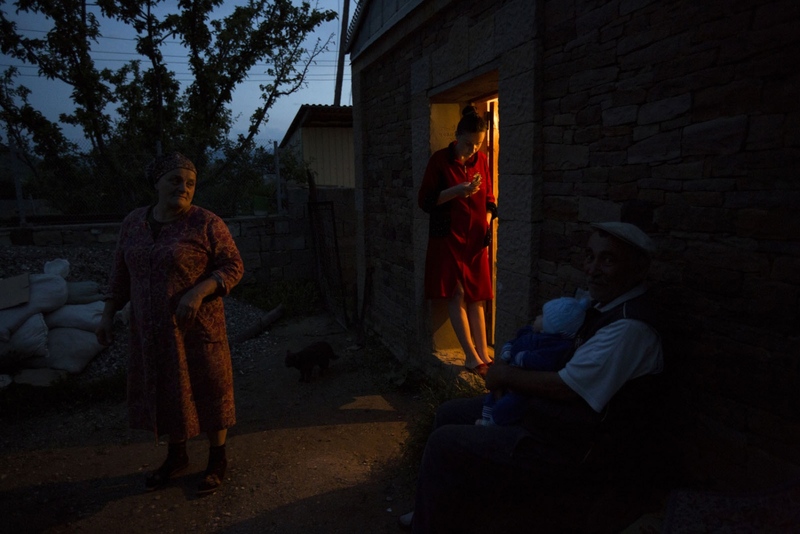 A local lady stands on her cell phone in the light of a shop doorway in the village of Chokh. Visitors at a monument to The Caucasian War of 1817-1864 when the Russian Empire invaded the Caucasus which resulted in Russia's annexation of the areas of the North Caucasus. 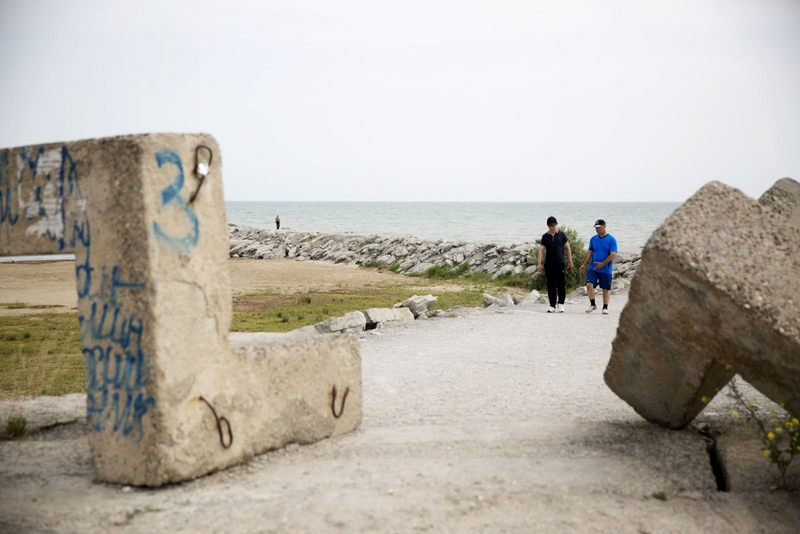 Young buys are taught wrestling on a beach by the Caspian Sea. 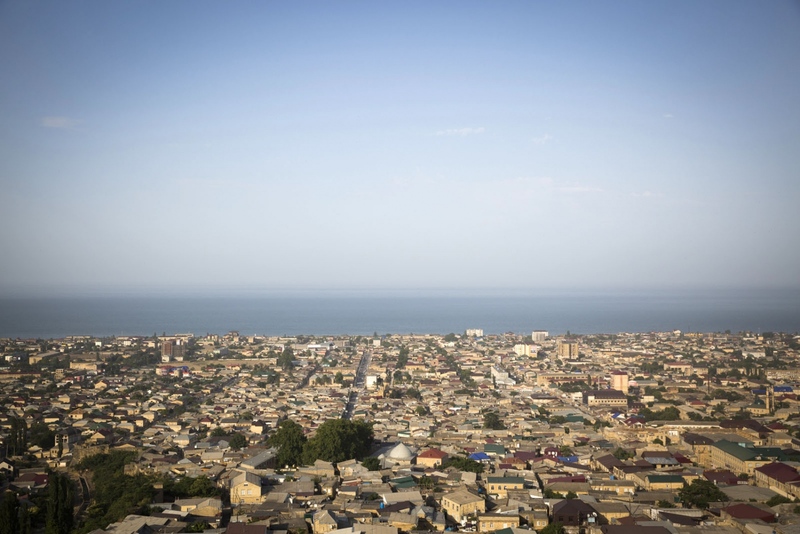 Fighting is embedded in to the culture of Dagestan and it is renowned around the world for producing large numbers of great fighters from wrestlers to mixed martial arts. The Russian government in Moscow also sends large amounts of funding to help train such fighters. Khadjimurad Gazimagomoedov, 73, a member of one of the last remaining salt making family walks along the path to Kvankhidatli village from the salt making place. 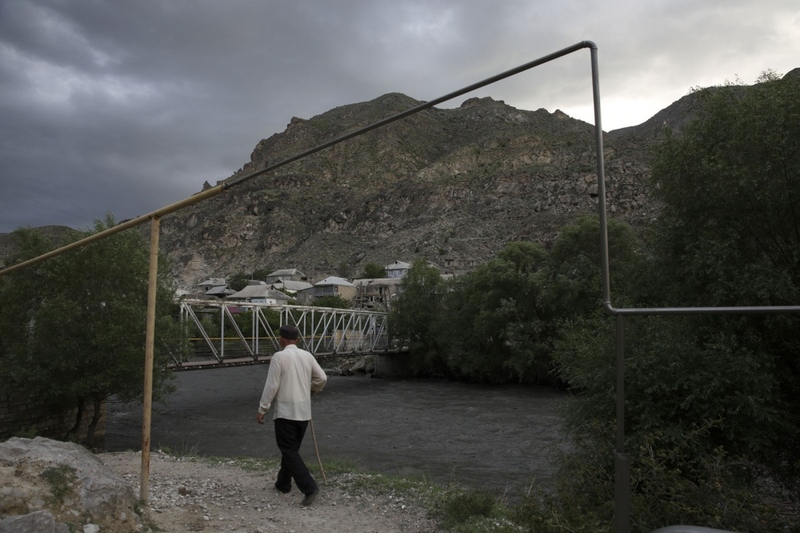 Botlikhsky District of Dagestan, Russia. 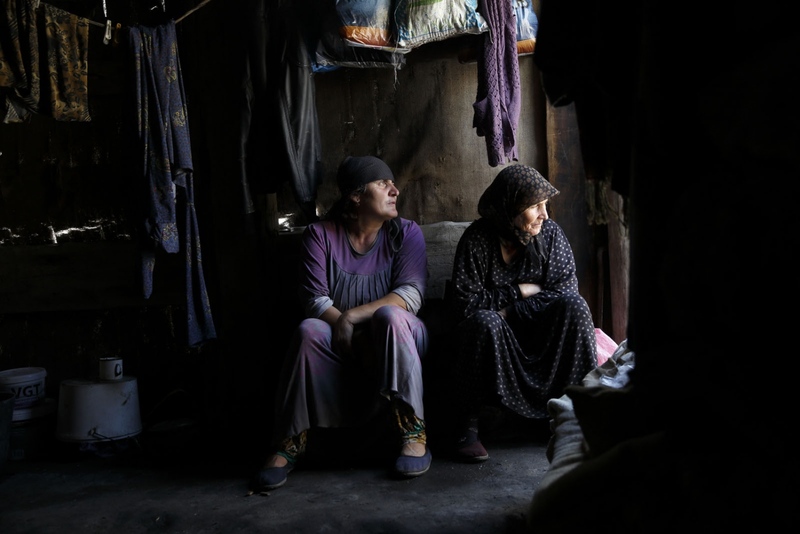 Women from one of the last remaining salt making family from Kvankhidatli village sit inside a hut where they cook the salt whilst it rains outside. 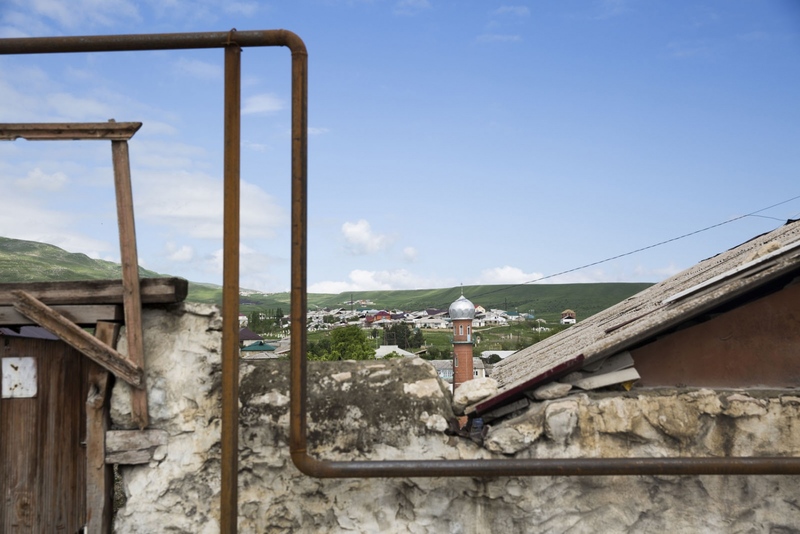 Gas pipes are raised above the doorway of a house with the view of a mosque in the distance. 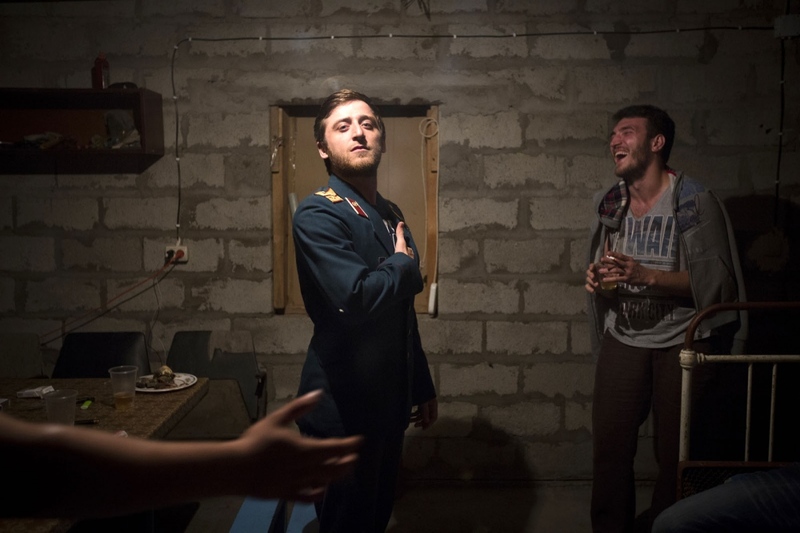 Dagestani local Khabib Nurmagomedov in his home during Ramadan in Makhachkala. Born September 20, 1988 Khabib is a Russian undefeated mixed martial artist. He is a multiple time Combat Sambo World Champion and a Judo black belt who is currently fighting in the lightweight division for the Ultimate Fighting Championship (UFC). He currently holds one of the longest undefeated streaks in MMA with 22 straight wins. He is currently the #3 contender in the UFC Lightweight division and the #3 Lightweight in the world. 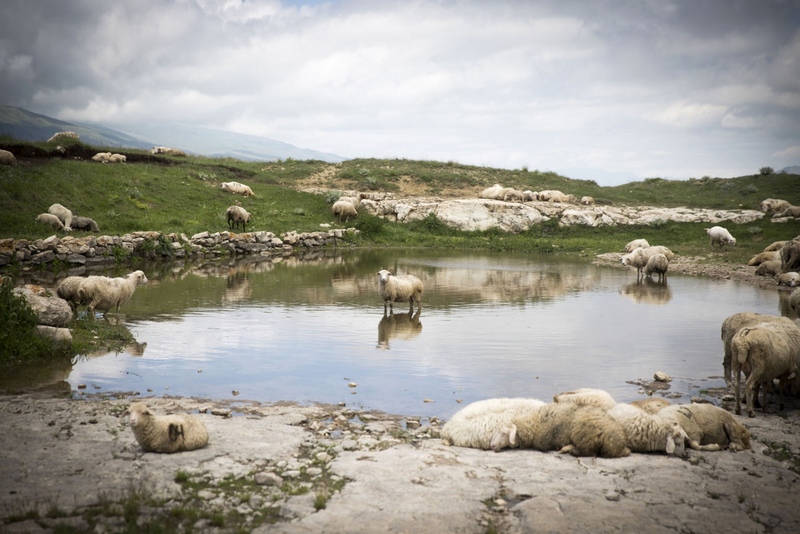 A flock of sheep rest near a natural pond on top of a remote plateau. 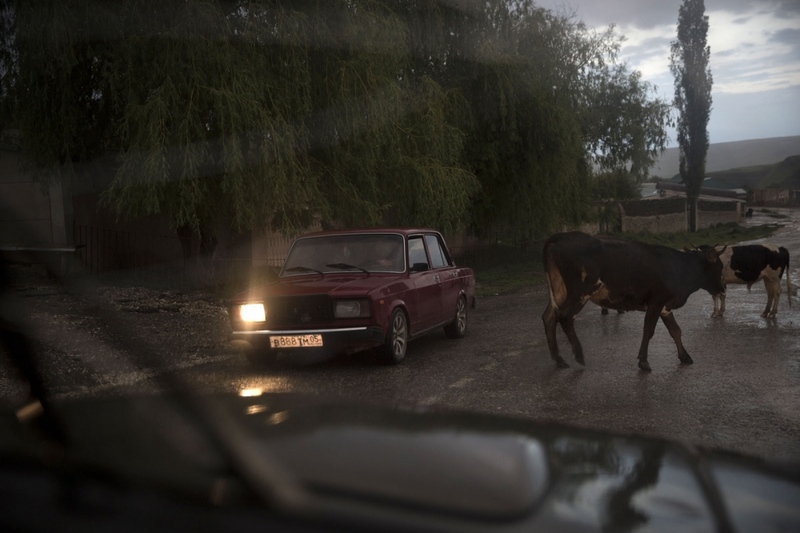 A man drives an old Lada car past a herd of cows. 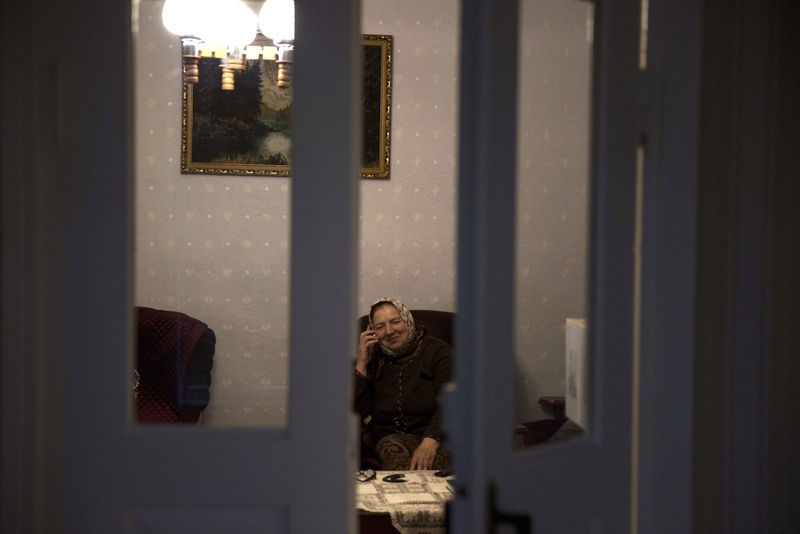 Dagestan native Patipat Gadzhidadaev talks to her friend on the phone in her house. 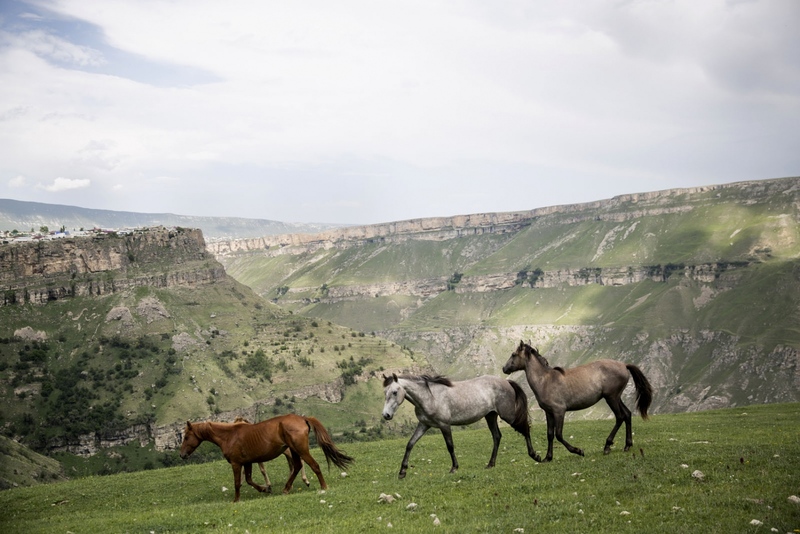 Domesticated horses run free on grassy mountain slopes outside the town of Khunzakh. A boy runs home at dusk at the village of Theletl. 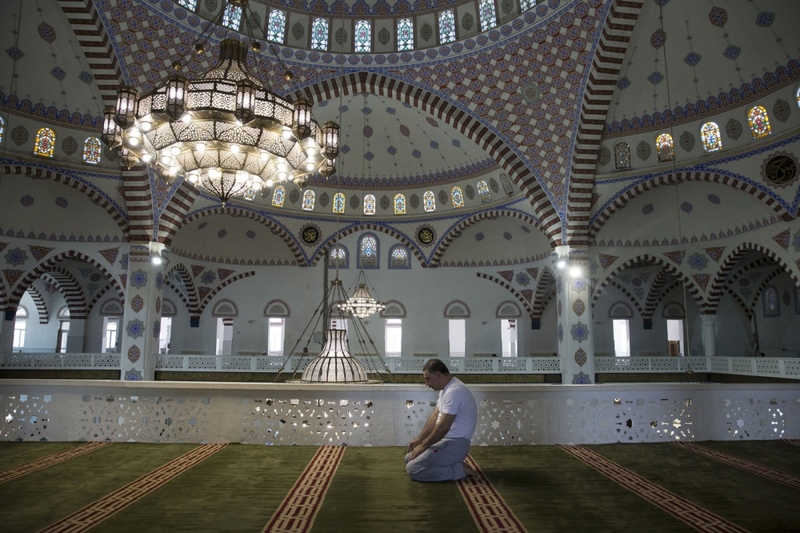 A Muslim man prays during Ramadan inside The Grand Mosque in Makhachkala. It is the main mosque of the Republic of Dagestan and is supposed to have been designed after the Sultan Ahmed Mosque in Istanbul. The mosque was completed and consecrated in 1998 and can accommodate 17,000 worshippers. 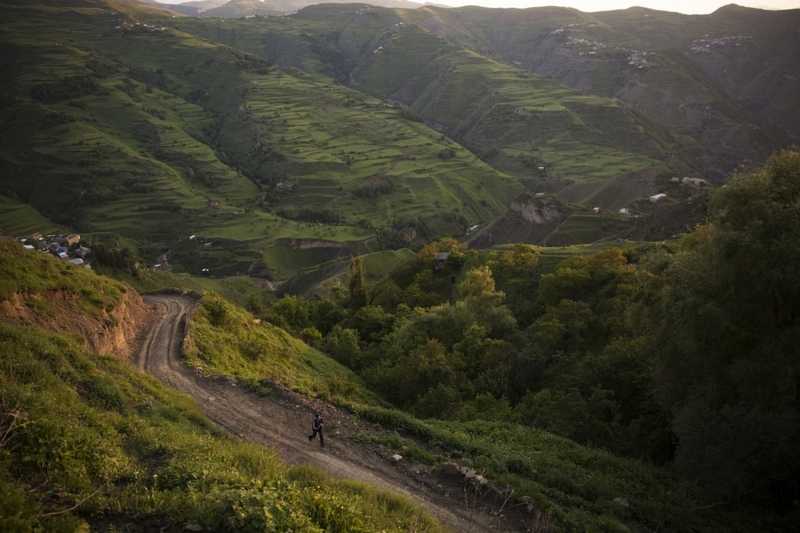 The view from the outskirts of the town of Khunzakh which is located on a rocky plateau. Wrestlers train in the Gamid Gamidov Sports Complex in Khasavyurt. The town has a long tradition of wrestling and produces many of Russia's best who go on to compete at international level. A man jokes around at a party by wearing a Russian Army captain's jacket during a party in Belidgi. 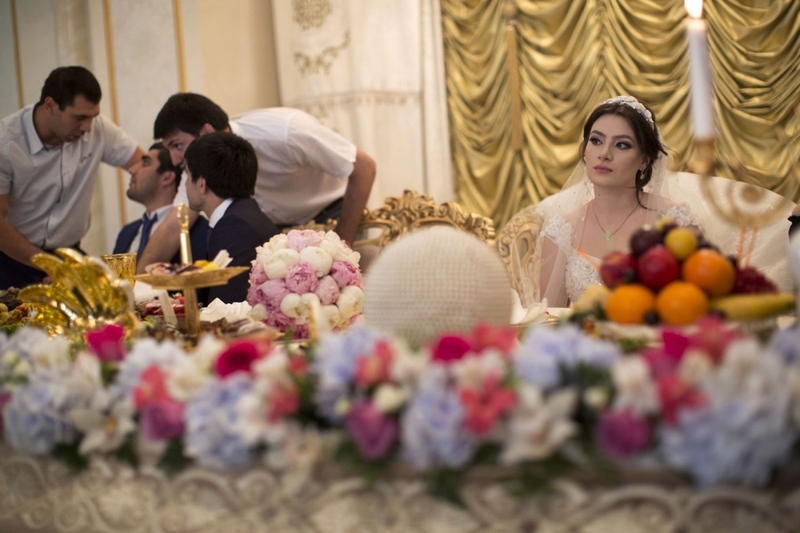 A bride and groom sit on an elaborate stage during a glamorous ceremony in an expensive wedding hall in Makhachkala. People walk and chat along the coast of the Caspian Sea in Caspiysk. 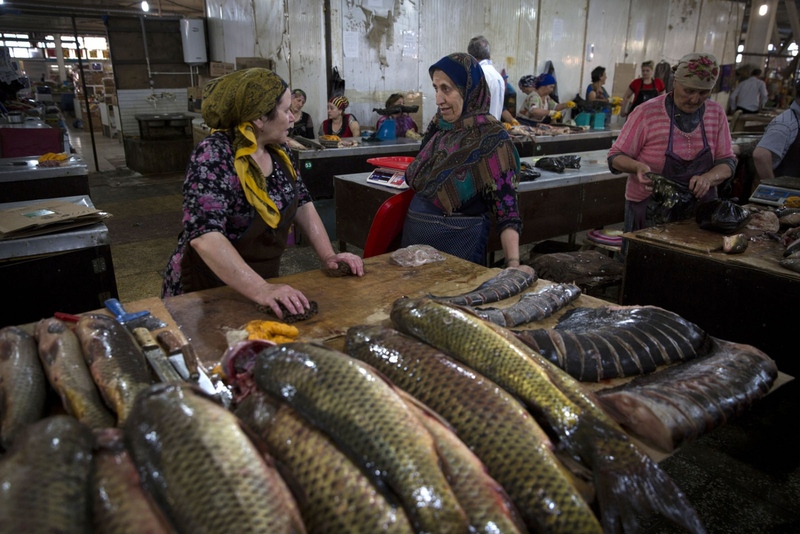 Fish from the Caspian Sea for sale in Makhachkala's main market. 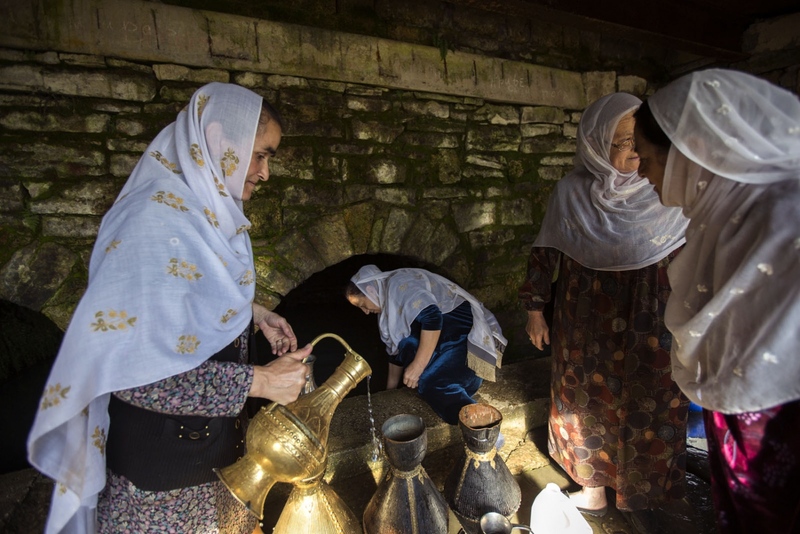 Local women collect water from a local spring every morning. A very traditional village, the women still use the old original containers to collect the water. 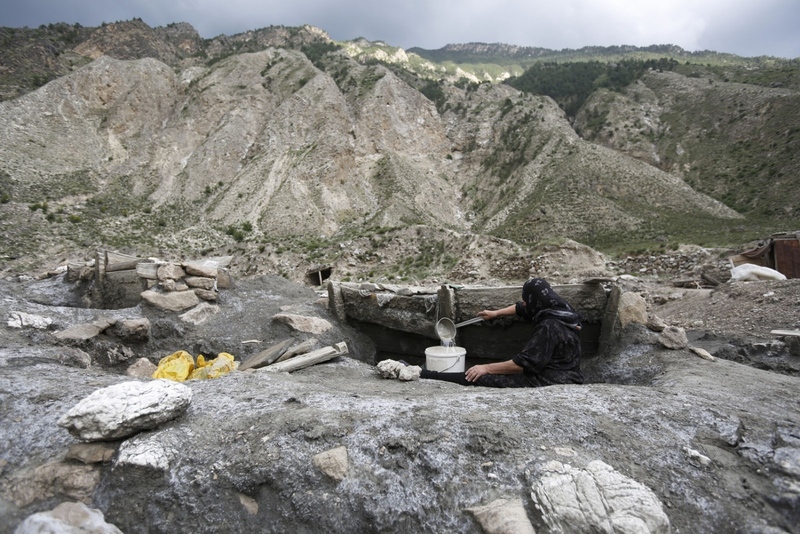 The village inhabited by people of the Dargin ethnic group is famous throughout the whole of Russia for its skilled silver craftsmen who are commissioned from across Russia and abroad. Factory workers roll sheets of silver inside the government run Kubachi Silver Factory. He has worked in the factory since 1969. Created in the Soviet times the factory once employed 800 people. Now only 30 remain. 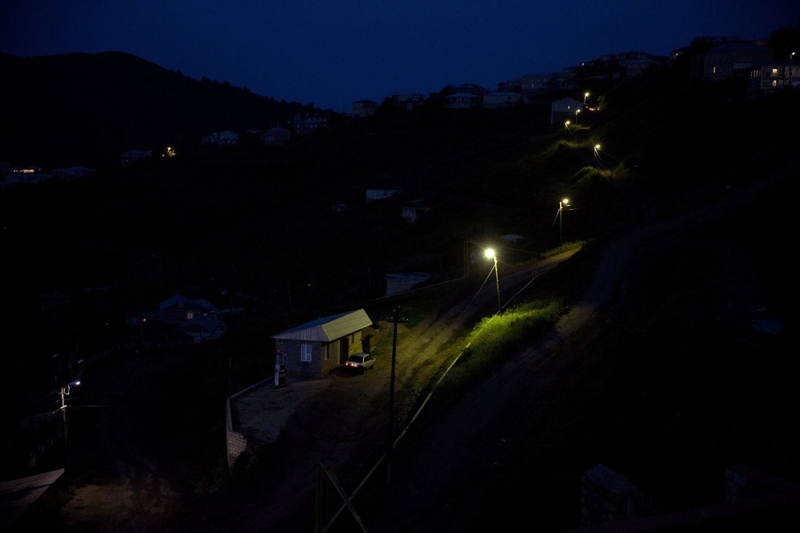 Street lamps illuminate the only road leading through the village of Kubachi. 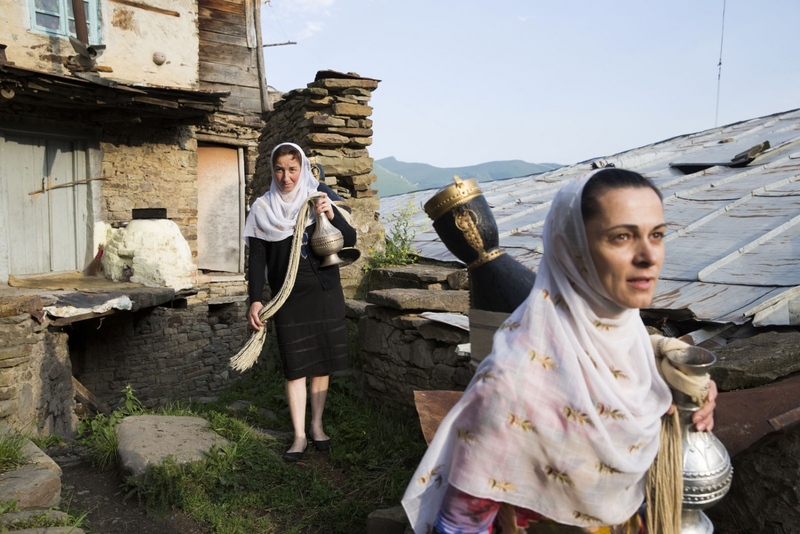 The village inhabited by people of the Dargin ethnic group is famous throughout the whole of Russia for its skilled silver craftsmen who are commissioned from across Russia and abroad. Website of British photographer Luke Duggleby. Based in Bangkok, Thailand, Luke specialises in documentary, travel and portrait photography focusing on Asia.